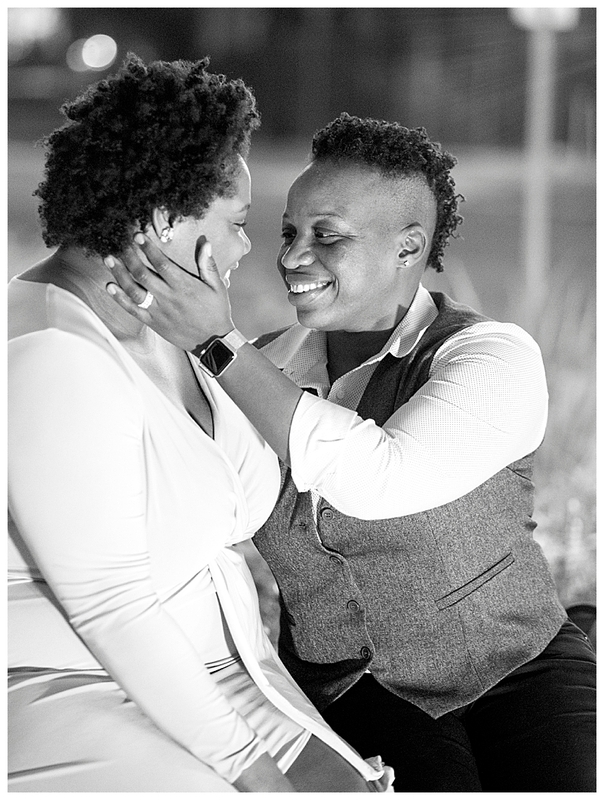 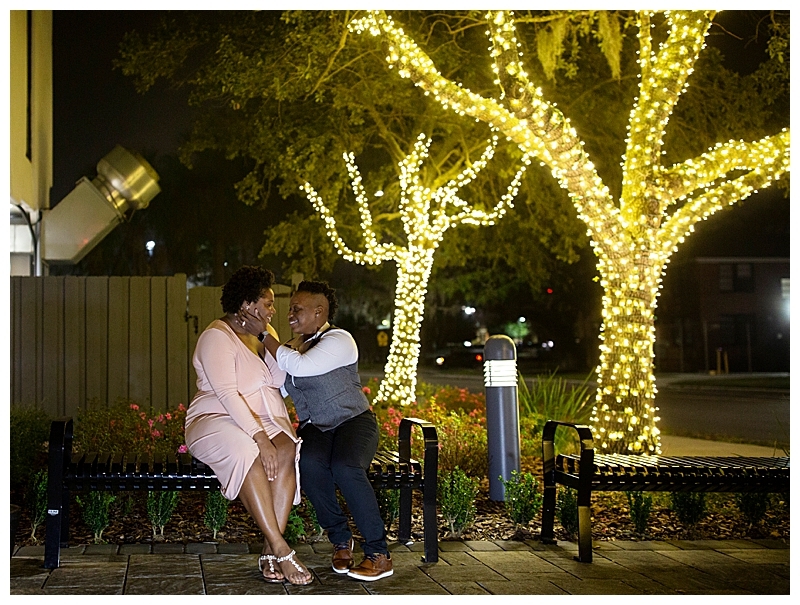 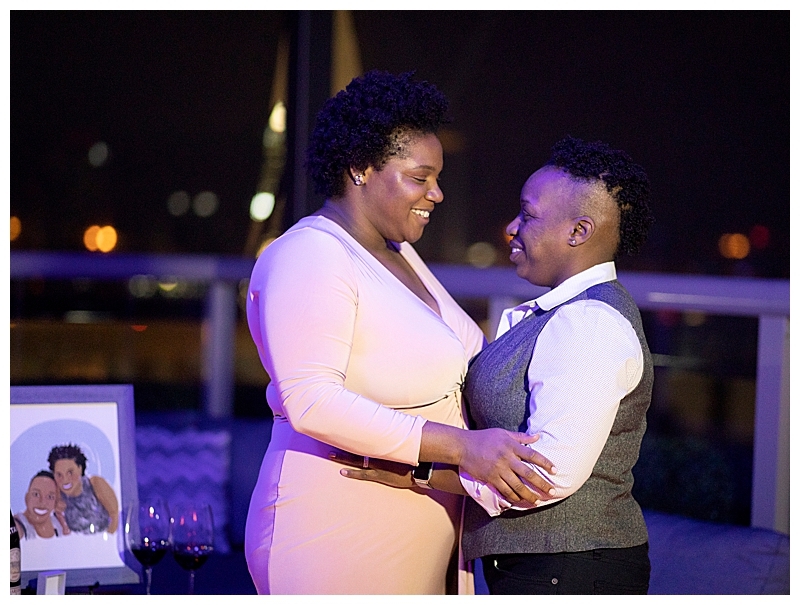 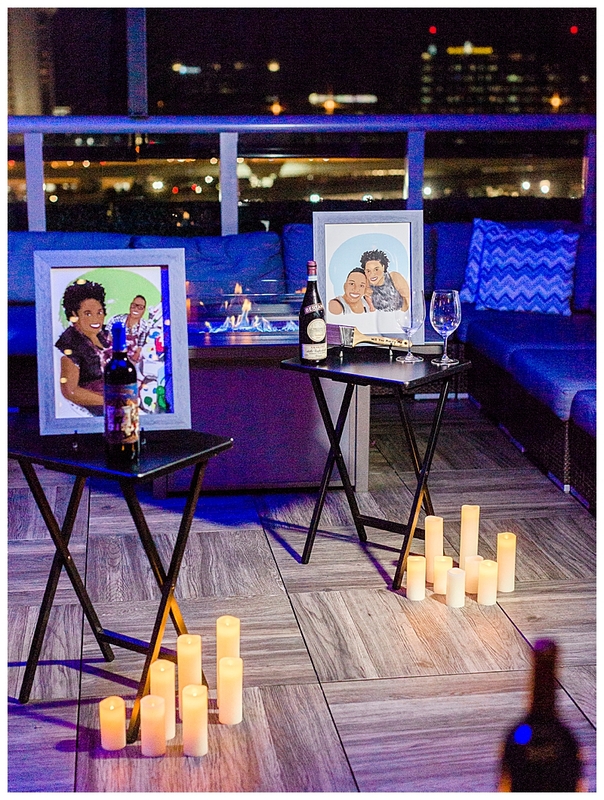 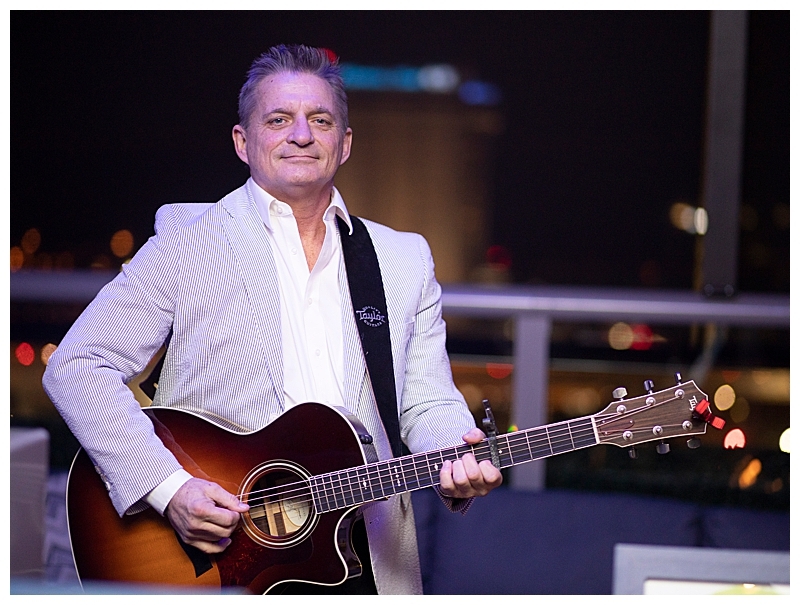 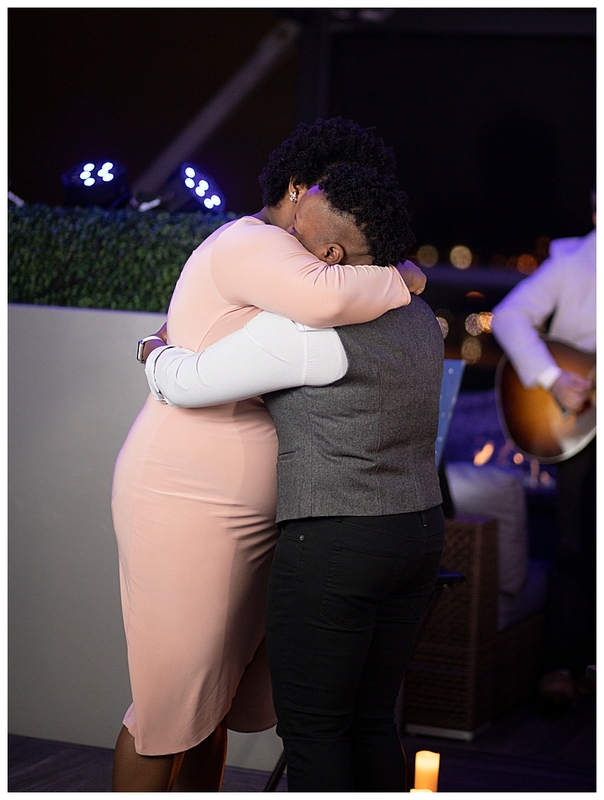 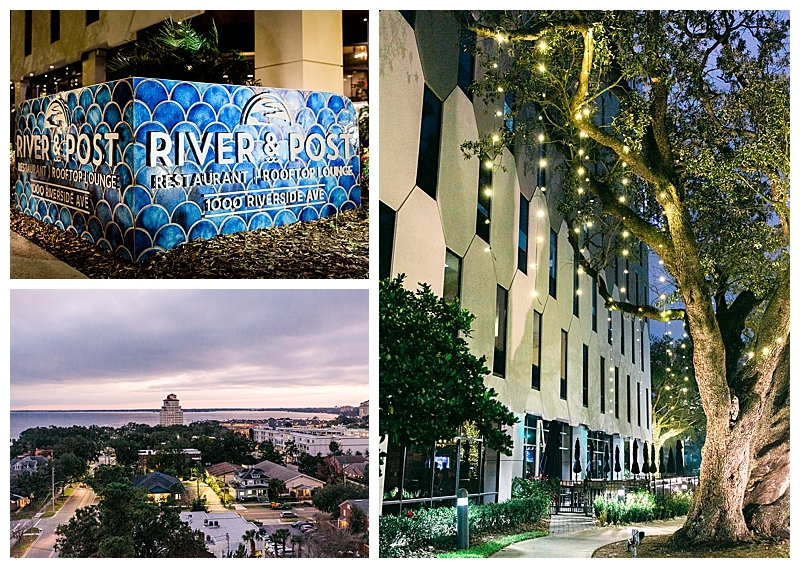 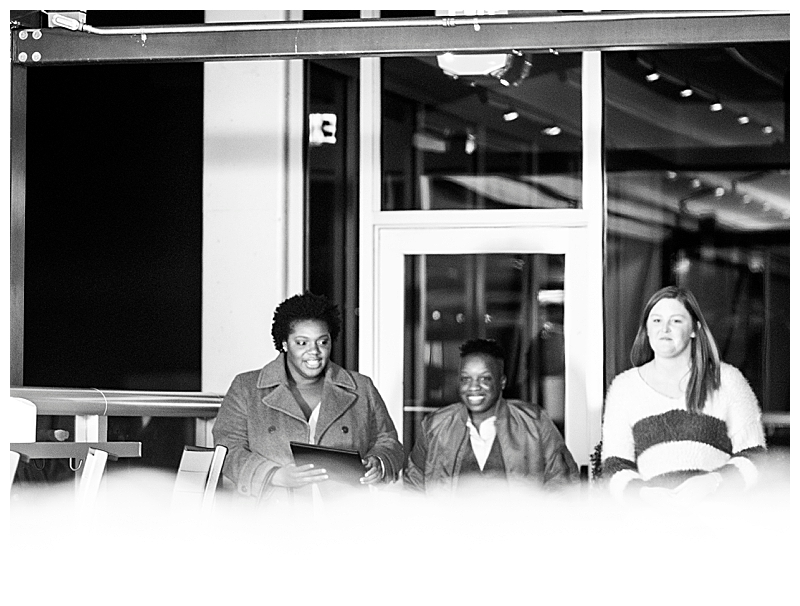 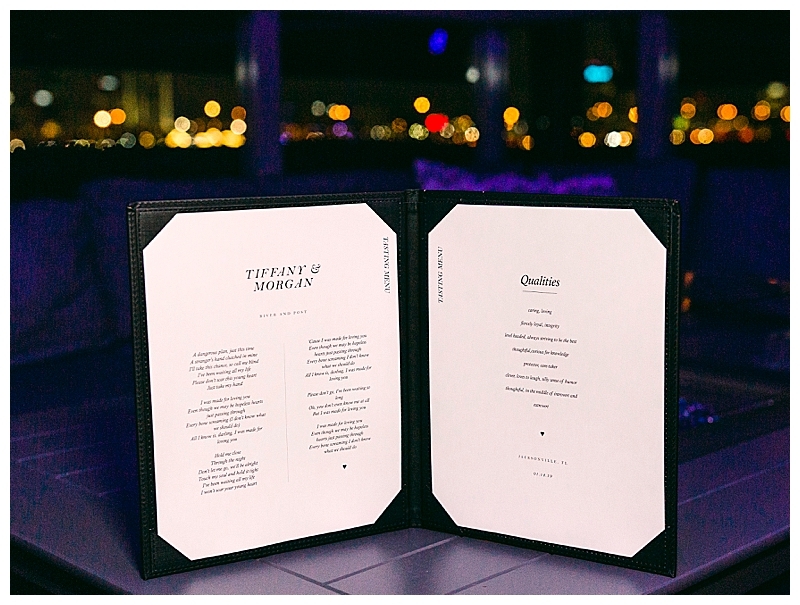 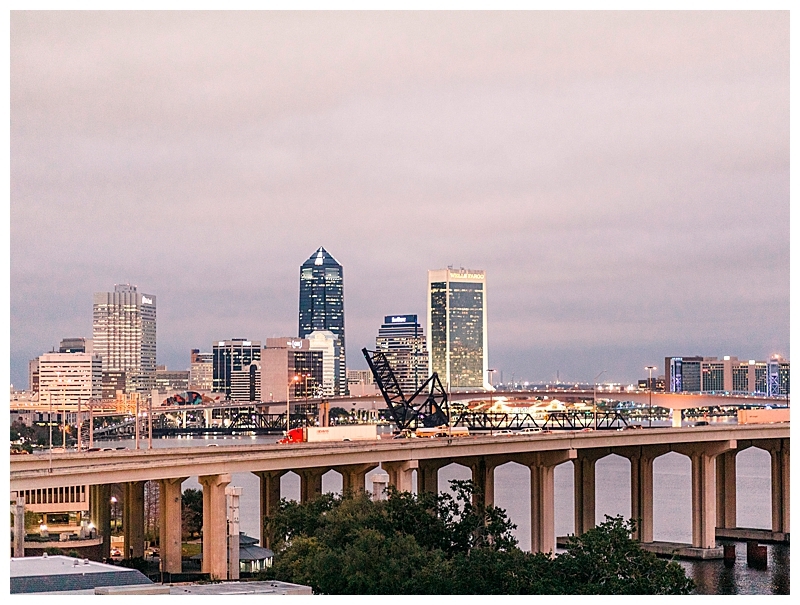 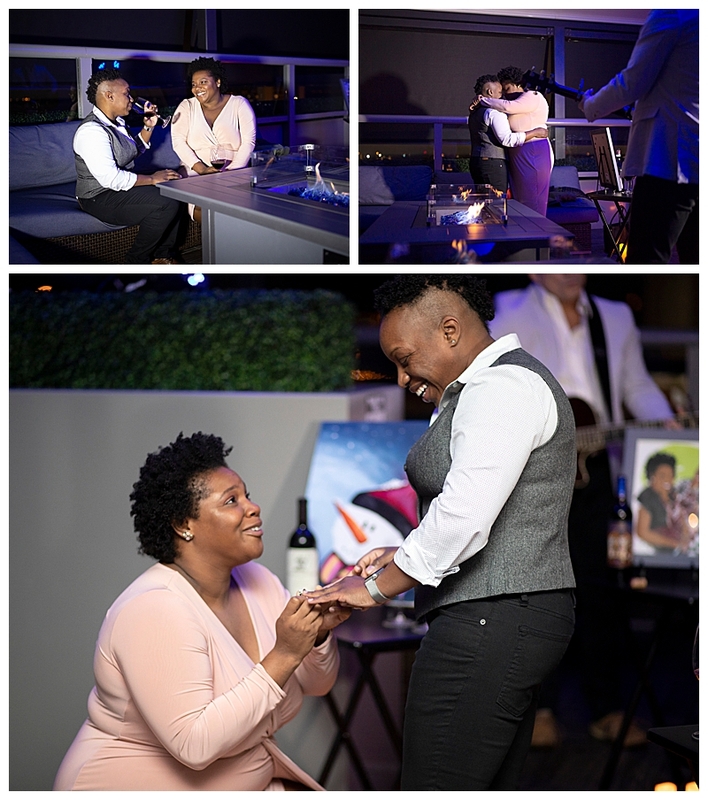 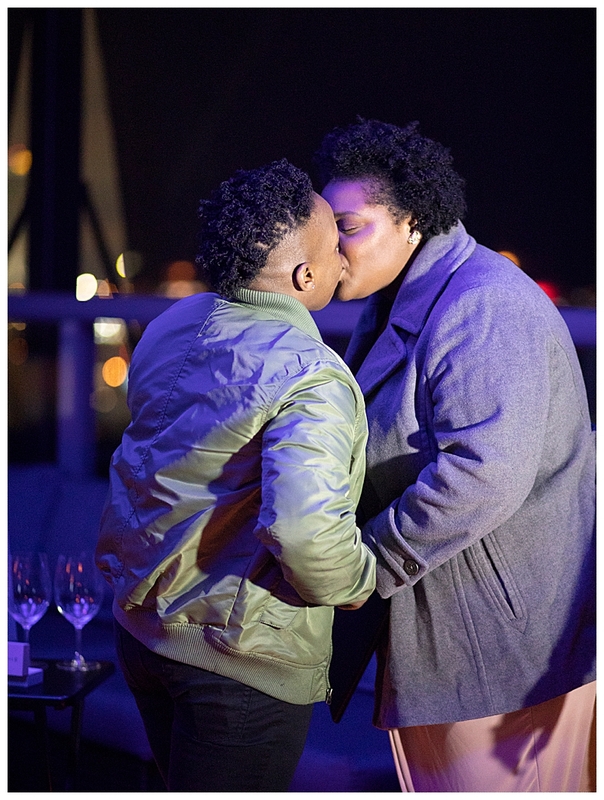 Disguised as an anniversary celebration, Tiffany had worked with The Yes Girls proposal planning company to set up an extremely romantic private wine tasting on a chic lounge rooftop overlooking Jacksonville, Florida. 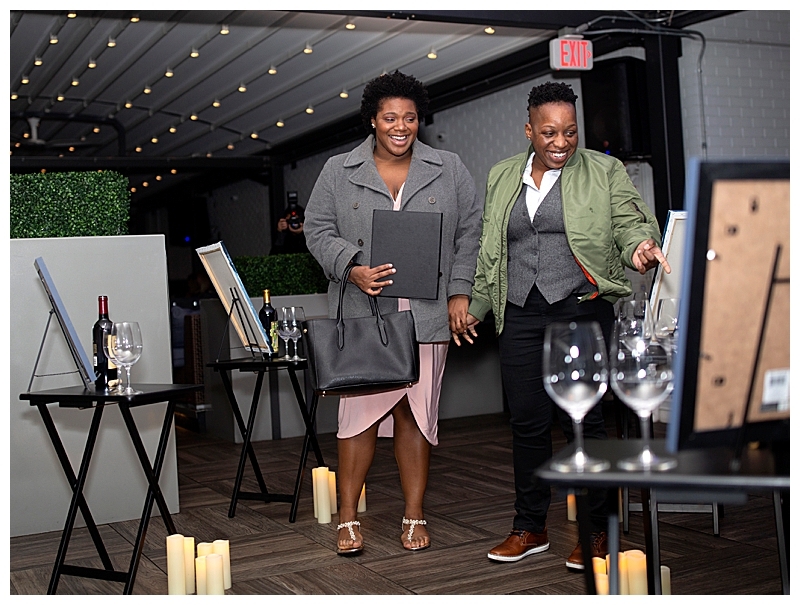 She commissioned watercolor paintings of their favorite memories and bought bottle of wines that represented those memories. 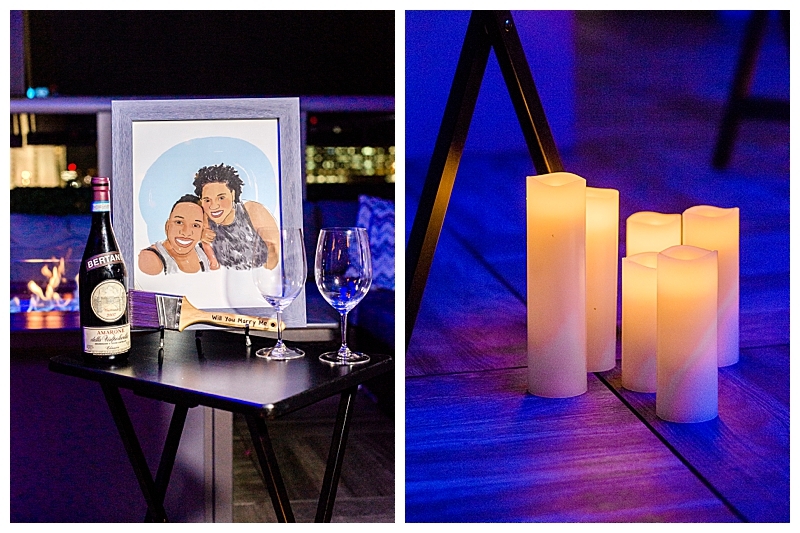 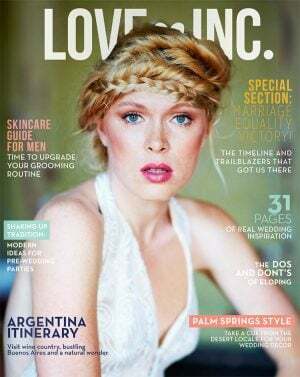 As live music played, Morgan walked into the candlelit room where they shared a dance and Tiffany dropped to one knee. 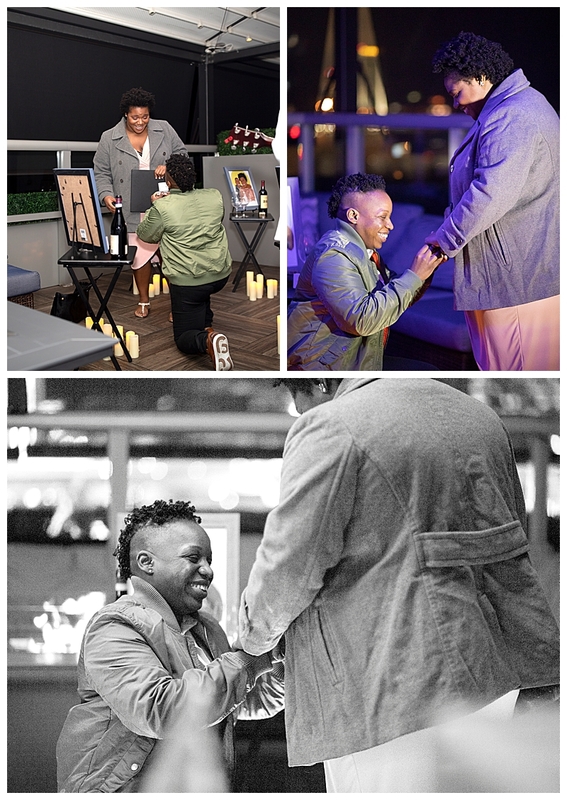 Later into the night, after celebrating with wine, Morgan surprised everyone by getting down on her knee! 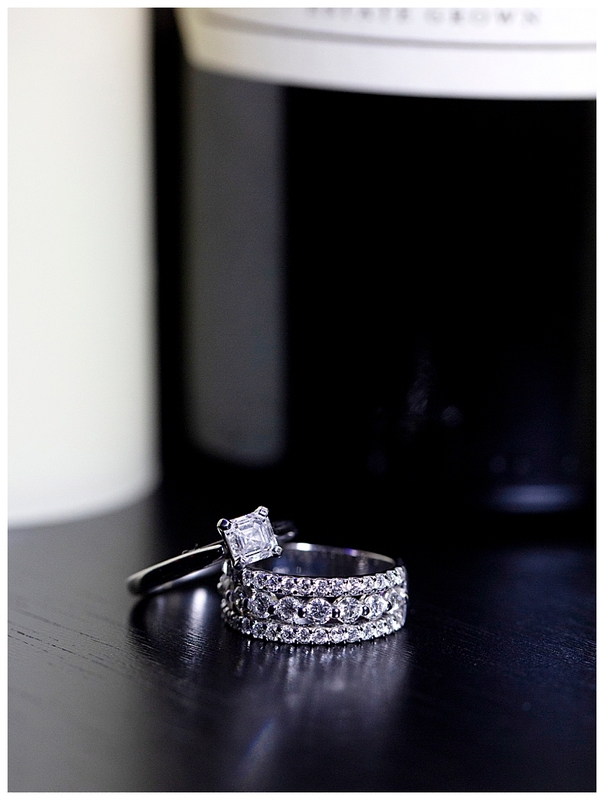 Turns out, she had bought a ring for Tiffany and had planned on proposing that same night. 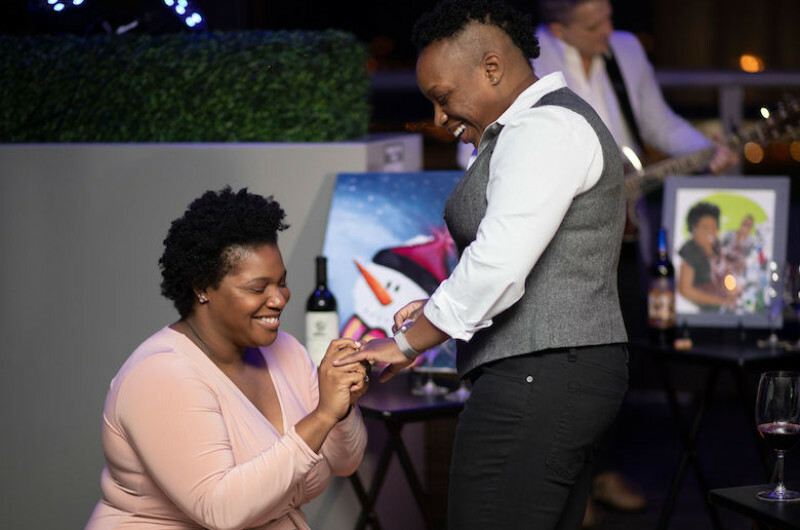 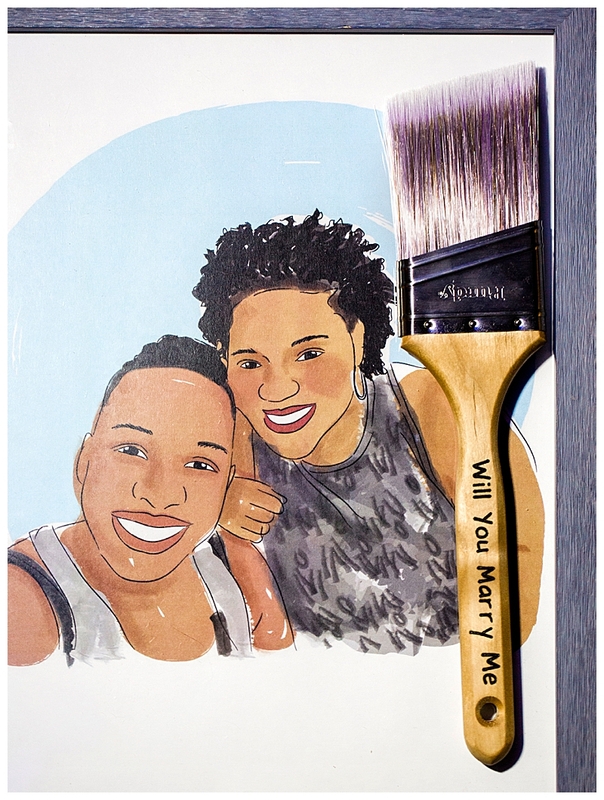 As perfectly planned as this surprise proposal was, no one saw the double proposal coming, and it made it just that much more perfect.